This theme is called Snow Leopard. You can turn your windows 7 PC into Mac PC. When you install this theme on your PC, you have to do some tricks. 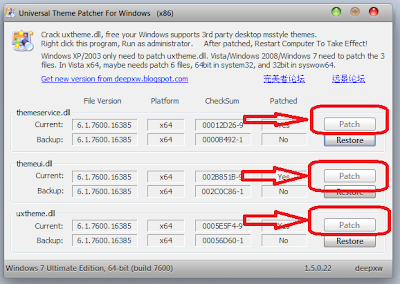 Followings are the step by step procedures for installing this theme. 2. 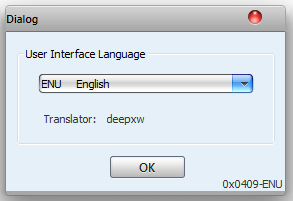 After downloading, extract the content into a folder. 3. Inside above made folder, there is another folder called Extras, when go inside to that folder you can see another folder called Uxtheme Patch. 4. 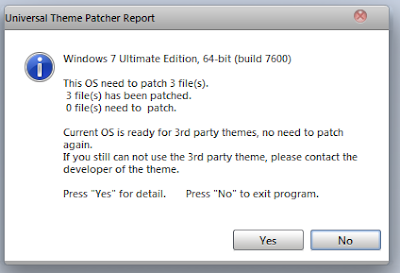 Enter into the folder and right click on "UniversalThemePatcher-x64" or "UniversalThemePatcher-x86" and select Run as Administrator (to run as Administrator). 5. In next window, you need to apply three patches, So click on all patch buttons as shown in figure and restart your computer. 6. Now, you can go to the theme folder and copy the Snow leopard folder and Snow leopard.theme file and go to the C:/Windows/Resources/Themes and paste them. 7. 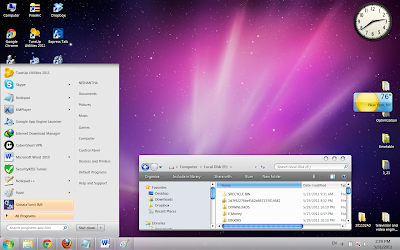 Finally double click on Snow Leopard.theme file so that Snow Leopard theme will install onto your PC. While there are countless free video editing software which don’t offer the quality or features found in paid-for video editing software, there are still some great alternatives available on the internet which will do the job at no cost.